Cape Town, a city quite unlike any other in Africa. Its architecture features beautiful buildings. Its table-shaped mountain has stunning views towards the point where the two oceans meet. Visit Stellenbosch, a university town famous for its spectacular winelands. 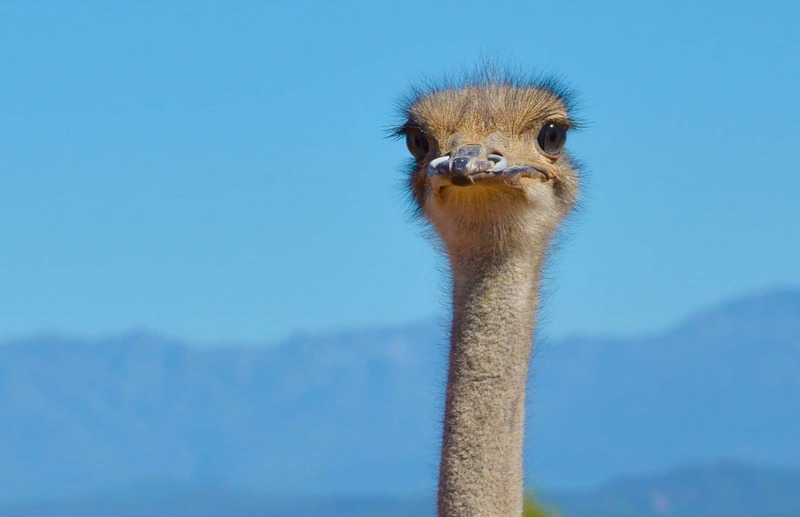 Travel to Oudtshoorn and visit the ostrich farms, before you reach the beautiful Kariega Game Reserve. 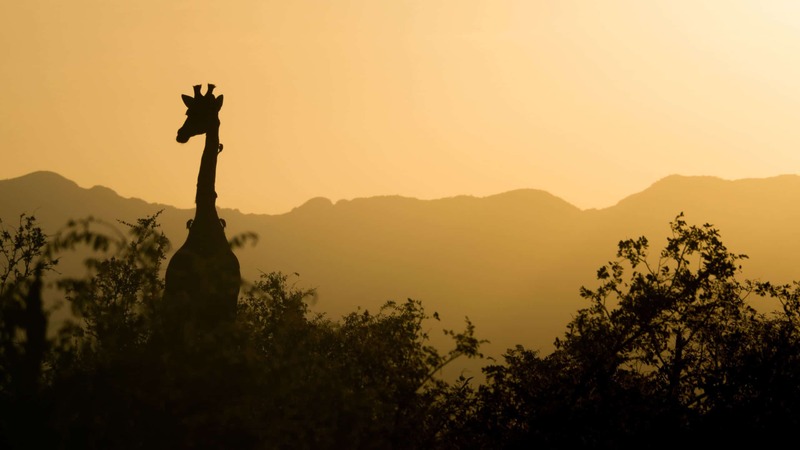 Enjoy game drives, canoe trips, walks by the beach and more, surrounded by spectacular wildlife! Now it’s time to relax. 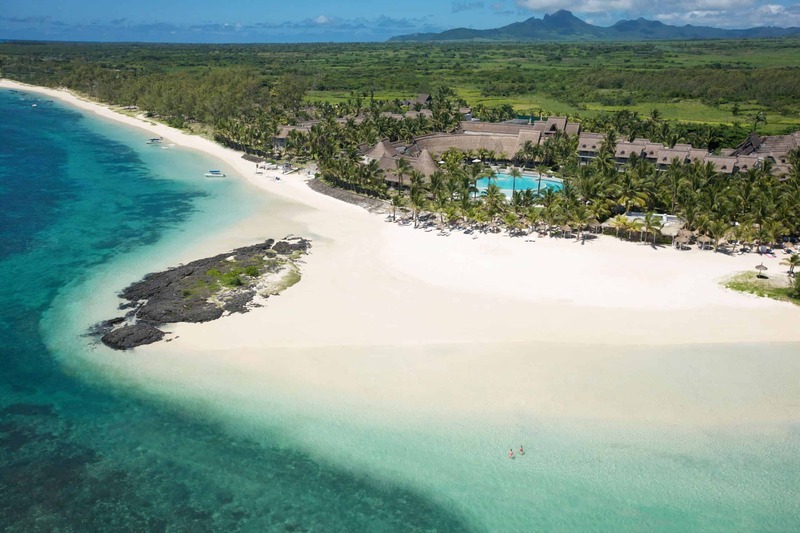 Land in Mauritius and get straight into your private transfer to the Lux Belle Mare. You’ll be walking along the white sandy beach enjoying the waters of the Indian Ocean in no time! Your five nights can be spent enjoying cocktails, snorkelling, horse riding and not to mention the great hospitality. Will it be an Ocean View Villa, Ocean Suite or the Lux* Suite? Upon arrival at Cape Town International Airport, you will make your way to the designated car hire desk to collect your hire car. The following day, embark on a tour to experience the extraordinary food markets in Cape Town. These markets are where most of the locals get their local produce. Why not try some of the delicious raw and cooked food. You will also visit the famous Good Company Farmers’ market where you can try artisan pizza, home-made fudge and the local youngberries. Enjoy your final day and evening in Cape Town. A visit to Cape Town isn’t complete until you visit Table Mountain! The half day Table Mountain & City Tour takes you on a journey to St. George’s Cathedral, before ascending to the top of table mountain by the revolving cable car. You’ll see wildflowers and the famous silver tree, a bird’s eye view of the city and its beaches. On a clear day, it is even possible to see Robben Island where Nelson Mandela was imprisoned and for those that wish you can visit the island to learn about its rich 500-year-old multi-layered history. Today you will start your drive to Stellenbosch, the spectacular world famous wine-growing region. The Spier Hotel Stellenbosch is based on a historical working farm. Of course, wine tasting is offered at the wine shop which is housed in an original Cape Dutch gabled barn. Take time to explore and discover fine food, beautiful hikes, wine estates, art galleries and museums that Stellenbosch has to offer. Today starts your drive to Oudtshoorn, known for its ostrich farms and rests along the Route 62 wine route. Check in to your stunning lodge and enjoy your evening at leisure. 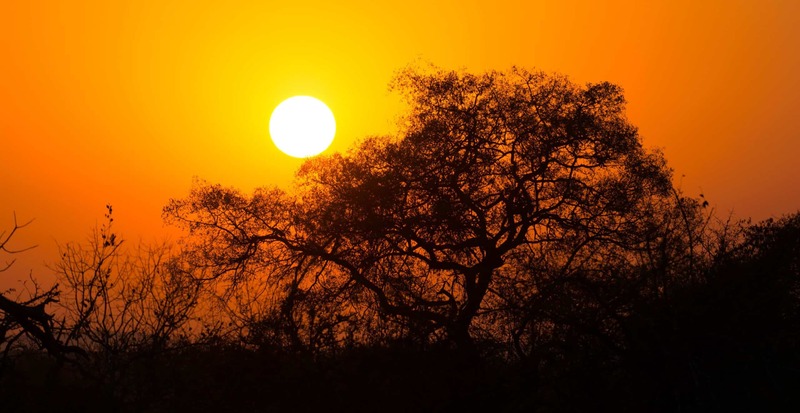 Today you will drive to Kariega Game Reserve Ukhozi Lodge, set in 9000 hectares of the pristine African wilderness. 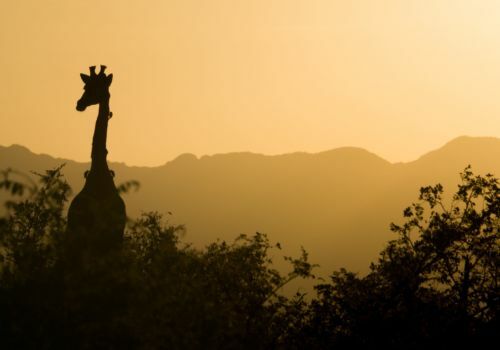 Ukhozi Lodge truly captures the romance and intimacy of Africa. Nestled in the bush you will discover 10 superbly appointed air-conditioned luxury suites crafted from logs. Each with a private plunge pool and deck offering panoramic views of the valley. 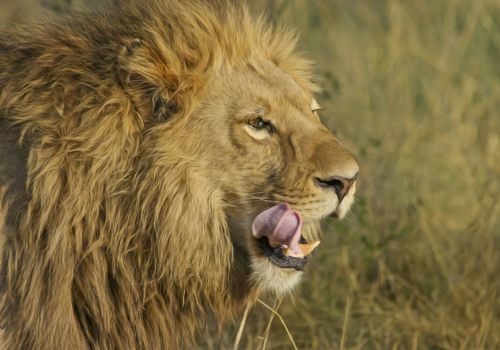 Take part in an early morning game drive and experience close-up encounters with African wildlife. You may even witness the lion hunting or feeding! Return to your hotel for an afternoon siesta before your evening game drive. The following day, make sure you take one the canoes for a leisurely paddle either down the Kariega or the Bushmans rivers. Watch in blissful silence as the river birds and animals go about their daily business. The golden beaches of Kenton-on-Sea are less than 15 minutes away. 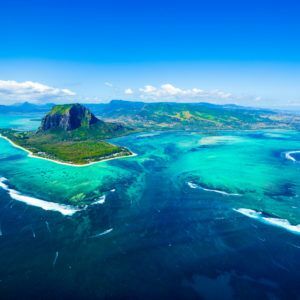 Drive to Port Elizabeth airport for your flight to Mauritius. 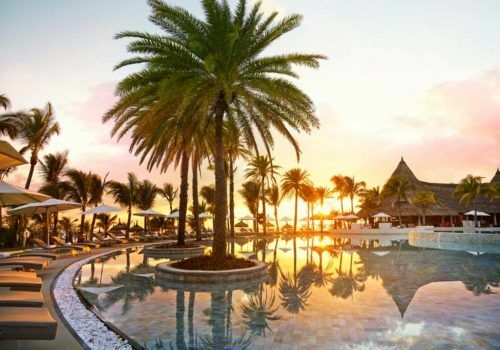 On arrival to Mauritius airport, your drive will take you to the 5* Lux Belle Mare. Why not enjoy your first evening at the K-Bar sipping on authentic dragon cocktails? 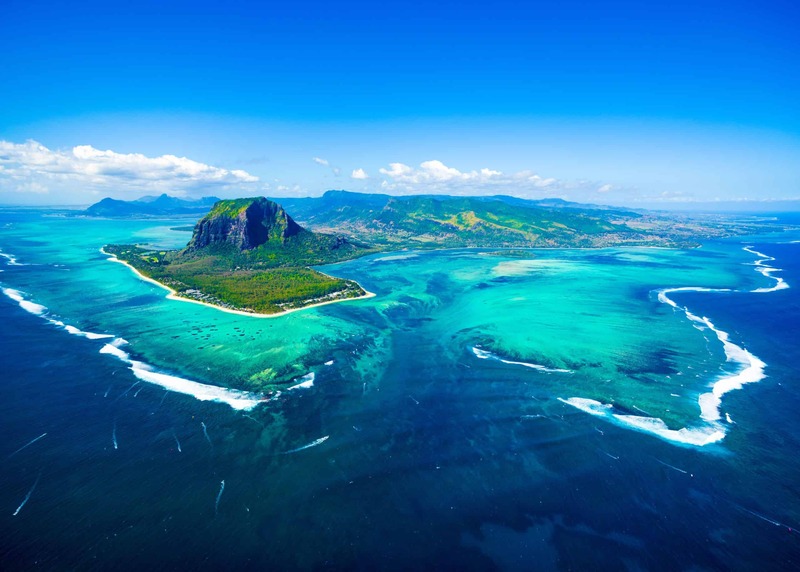 Should you want to grab a bicycle from the distinctive red livery, and embark upon a journey through the real Mauritius. Picnic baskets can be arranged with the friendly staff at reception. Why not indulge in a facial at the LUX* Me spa, sip on cocktails by the beach, go horse riding on Belle Mare beach, or go snorkelling with a local guide? Out Of Office recommends the Beach Rouge seafood restaurant. Whilst at Lux Belle Mare, we’d recommend trying its onsite beer academy? Learn all about the microbrewing process, and of course sample the local beers! Each of the thatch-roofed suites and villas is blessed with sea views, and the room service menu is world class.